Nilandhoo island is formed on a large shallow reef spreading from the beach as far as eye can see. The reef flat extends 3km from the shore of the island so that you can wade for hours and hours fly casting for Bonefish, permits, jacks and blue trevally. 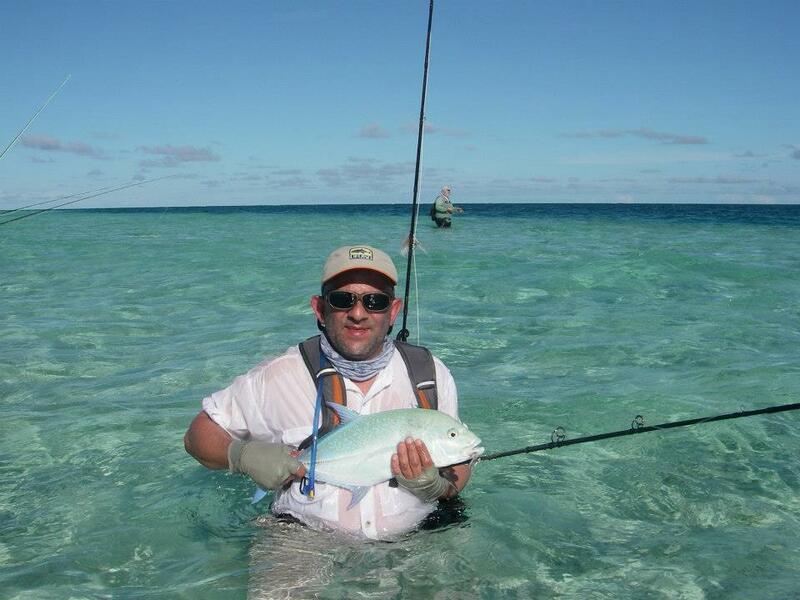 As GTs also roam on the reef flat and are caught occasionally by fly fishermen. The advantage for having our lodge on the island of Nilandhoo is that you can start casting right from the beach and absolutely no fishing restrictions around the island.We assure you that the reef flat, the lagoon and the sea around this island will not disappoint you even if you are a novice. We recommend you to bring good wading boot as you will certainly will go to cast on the reef front where there are coral rubbles and live corals.